CSC has sponsored the renovation and development of nearly 600 units of low income housing at 24 different sites since the early 1980s. We have also participated in community based planning efforts that have directly resulted in over 350 additional low income housing units developed by other entities. Our Housing staff works to identify opportunities to develop low/moderate or middle income housing as well as community/cultural spaces on the Lower East Side. The Bea Arthur Residence: We created a partnership with the Ali Forney Center to develop transitional housing for homeless LGBT youth. 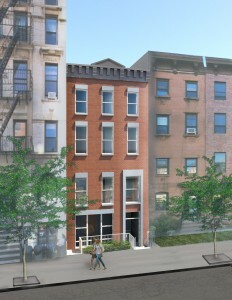 We jointly formed the Bea Arthur Residence HDFC which acquired 222 East 13th Street from the NYC Dept. of Housing Preservation and Development in June, 2015. Renovation work on the $3.34 million project began in mid-September, and we expect the building to be completed in February, 2017 assuming it stays on schedule. 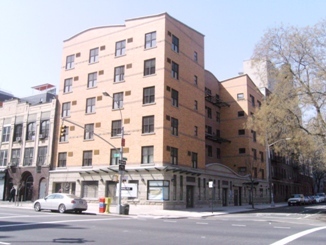 Cooper Square Supportive Housing: In December, 2007, we and our development partner, Community Access, obtained a temporary Certificate of Occupancy (C of O) for 29 E. 2nd Street, a 53-unit building with supportive housing services. It was fully rented up by mid-2008. We are seeking new development opportunities on the Lower East Side, either as a General Partner in a low income housing development or as Marketing Partner for the low income housing units in an 80/20 development project. In July, 2016, HPD designated us as an eligible developer in the Affordable Neighborhood Cooperative Program (ANCP) and the Third party Transfer (TPT) program. We hope to partner with the Cooper Square Mutual Housing Association to renovate some of the few remaining city-owned buildings on the Lower East Side, and turn them into affordable cooperatives. 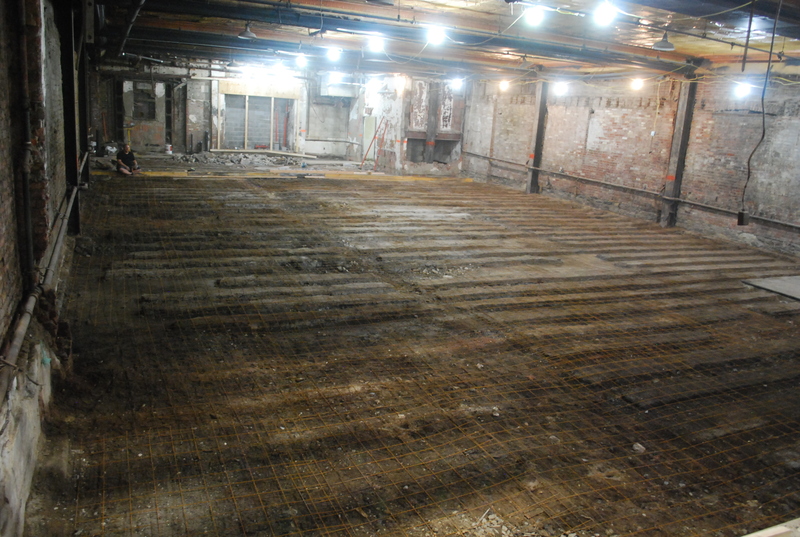 Renovation of The Downstairs at La MaMa ETC: We obtained $180,000 in Urban Initiatives funding from the NYS Housing Trust Fund and regranted the funds to La MaMa ETC in 2014 to pay part of the cost of renovating their 6,500 sq. 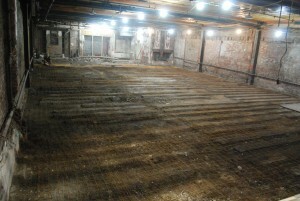 ft. basement space at 66-68 East 4th Street. The nearly $1 million renovation project created a multi-disciplinary space with a classroom, exhibition space, and a 150 seat performance venue. The Downstairs was designed by Martin Kapell, founding principal at think! architecture and design pllc. (Below are before and after pictures). Streetscape Project: We partnered with (Fourth Arts Block) to implement a streetscape project for the East 4th Street Cultural District. We jointly retained Starr Whitehouse to create a Master Plan for the block in 2008. With FAB, we paid for installation of Fourth Arts Block banners on and around East 4th Street as well as the installation of cobblestone more than 15 tree pits. Façade and Building Improvements: We have administered 2 rounds of Main Street program funds from the NYS Housing Trust Fund to restore façades and do building improvements. We have provided up to $10,000 – $20,000 each for 5 cultural buildings and 2 residential buildings on East 4th Street since 2008. 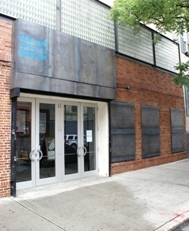 CSC contributed funds towards a new storefront and Off Off Broadway ticket booth at 59-61 East 4th Street in 2009. We funded new entrance doors and other facade improvements at 62 and 64 East 4th Street, increasing visibility into the lobbies of both theater buildings. We also provided funds for a new marquee and power-washing of the facade of the New York Theater Workshop (shown below) at 79 East 4th Street. 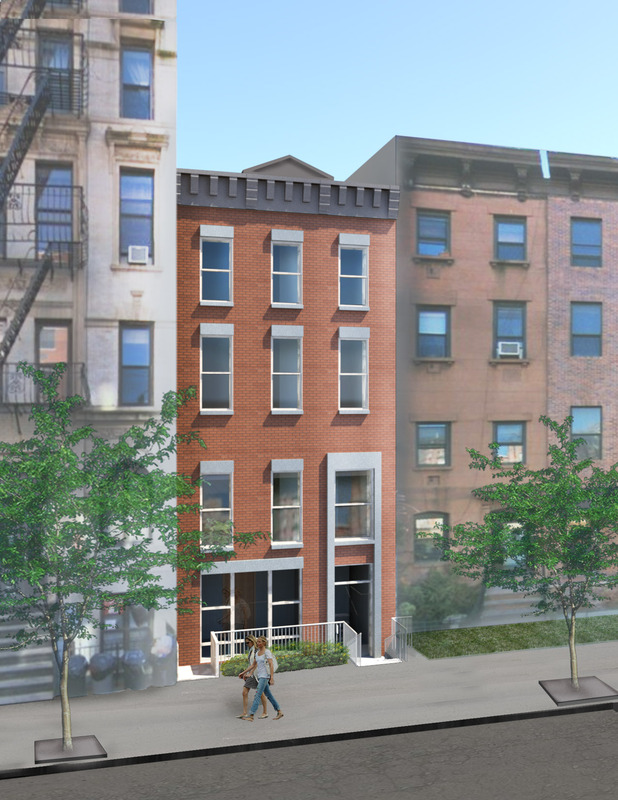 We provided 56 and 67 East 4th Street, two residential buildings, with facade improvement funds in 2010. A $16 million capital renovation project, largely funded by the NYC Dept. of Cultural Affairs, Manhattan Borough President Scott Stringer, Councilperson Rosie Mendez, and Mayor Michael Bloomberg is underway for these historic buildings which contain over a dozen theaters, 2 dance companies and several visual arts organizations. Read about our work to house homeless LGBT youth here!